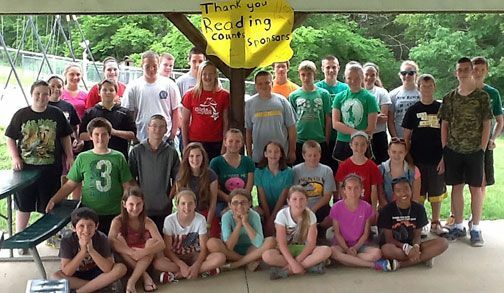 FRANKLIN COUNTY R-II - Last week on Thursday, May 22, thirty-eight Franklin County R-II middle school students were given a party for earning the Reading Counts Reward. The party was sponsored by several local area business, which included: New Haven Save A Lot, Casey's, Backes and Toelke Agri Products, Remax Today, Home Oil Company, Boeuf and Berger Mutual Insurance, Out of Town Auto Body, A Game Advertising, and Hair (Janet Sheible). Franklin County R-II would like to thank these businesses for their support and generous donations.